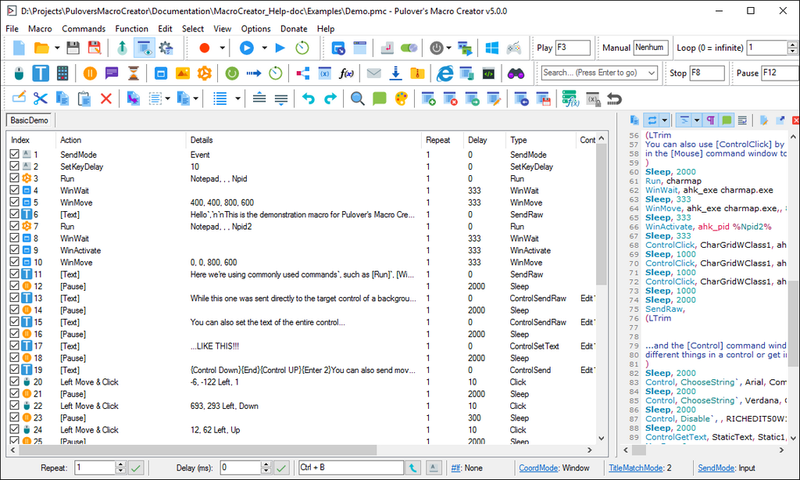 Pulover's Macro Creator is an automation tool and script generator that provides users with a variety of functions, as well as a built-in activity recorder. You can not only add keystrokes and mouse actions to your scripts, but also manage windows, controls, files, strings, search images/pixels and even create if/else statements to control the flow of your macros. The program helps both with simple, repetitive tasks as well as complex automation efforts. It is developed using the AutoHotkey language. Tutorial videos are available. You can donate to the author to help further project development. Fixed bug in expressions when assigning a variable to a ternary operation. 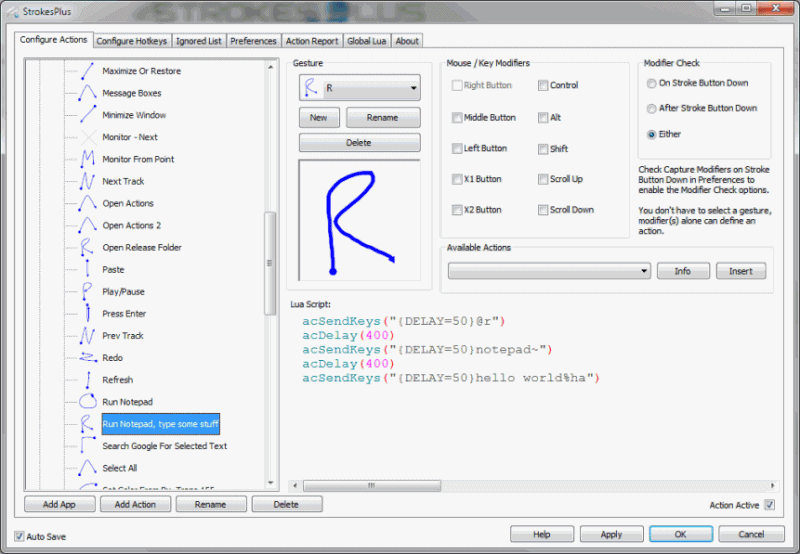 StrokesPlus is a a mouse gesture recognition program that allows you to automate repetitive tasks by simply drawing a symbol with your mouse or performing mouse and/or keyboard modifiers to launch predefined action(s). Includes a powerful but lightweight embeddable scripting language (Lua), endless gesture and modifier combinations, granular control over program settings, and actions and the possibility to create global hotkeys for actions without using the mouse. Dependencies: Administrator rights are necessary for full functionality. How to extract: Download the ZIP package and extract to a folder of your choice. Launch StrokesPlus.exe. Added code to update all actions when renaming a gesture, so it applies the new gesture name to all existing gestures using the previous name. Reduced gesture scale width/height, certain gestures were showing outside of the view container. I'd like to note that for Windows Vista+, if you extract the signed version of S+ to a folder under Program Files and manually install the StrokesPlus.cer certificate into Trusted Root Certification Authorities, S+ can be run without administrative privileges and still interact with programs which are running with administrative privileges as well as interact with Windows 8 screens (Start screen, task switcher, etc.). @ AndTheWolf: Thanks for the info ... and sorry for the typo. Can't find what you are looking for? This list shows entries with System - Keyboard/Mouse as a supplementary function. You can view more entries with System - Keyboard/Mouse as a primary function.